well as embellishments. Today, the actual knitting is but a part of each piece. her creations their own essence. Th'Red Head studio, one piece at a time. Marci's work can be seen throughout the year at Kansas City area art fairs. 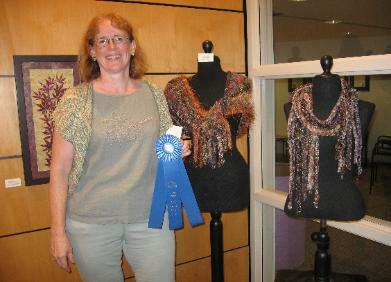 the Lawrence Art Guild, Marci has won many awards for her unique designs.